Similar to recent years, approximately 35% of students enrolled at LER in 2017-2018 hail from somewhere other than the United States. While the majority of the school’s international students are from China, others came to us from Argentina, Canada, India, Nigeria, Pakistan, Saudi Arabia, South Korea, Taiwan, and Vietnam. This unique population offers diversity of thought and worldviews creating a robust learning environment appropriate for students preparing to enter a global workforce. Opportunities for success continued to grow for LER’s international students this year. Through specialized support and programming, dedicated staff, and targeted employer engagement, as well as engagement with international alumni, the year brought the highest-ever reported placement numbers for international students. Senior Assistant Director Jason Boys returned to China in March for the LockinChina Global University Career Development Conference in Guangzhou, Shenzhen, and Sanya. This conference offered ample opportunities to engage employers through site visits and networking events and to learn best-practices for supporting returning Chinese graduates as they enter the job market in their home country. This conference along with additional targeted efforts has led to direct recruiting relationships between LER and several major employers in China including Honeywell, Procter and Gamble, and DJI. During this conference, Jason Boys and Ulyssia Dennis, MHRIR 05 and Engineering Career Services employee, were presented with the LockinChina Employers Choice Award, while at the Lockin China Global University Career Development Conference. This year, the conference was held in Guangzhou, Shenzhen, and Sanya. 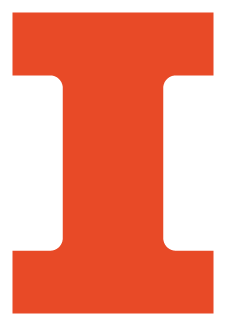 This award “recognizes the University of Illinois’ strong sense of mission to students' employment and active engagement in employment training programs. LER faculty and staff also seized opportunities to connect with international alumni when abroad. Associate professors Amit Kramer and Ryan Lamare hosted a reception for 13 members of K-PAL (an organization of alumni from LER’s PhD program) while in South Korea for the International Labor and Employment Relations Association conference, and Jason Boys met a total of eight Chinese alumni at gatherings in both Guangzhou and Shenzhen, China. International alumni have also been giving back to LER in the form monetary gifts. Examples include a distinguished Taiwanese alumnus who will be added to our donor wall and the aforementioned K-PAL who have organized to purchase a block of pavers for the new plaza currently being added to the LER building.